Dynasty’s Blue Ice collection tempers the strength of glacial ice with flexibility to move heavy mediums. 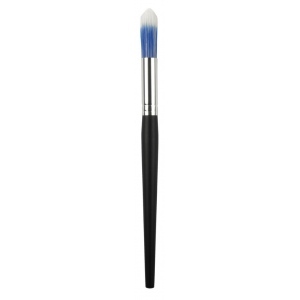 * It’s soft white tip maintains chisel and point creating detail work usually achieved by a finer brush. * A smooth flow on small or large surfaces creating a versatile brush for the versatile artist. * Unique manufacturing technique to create the blend. * Fine detail for large surfaces. * Cased – A long tapered point. * For oils and acrylics.